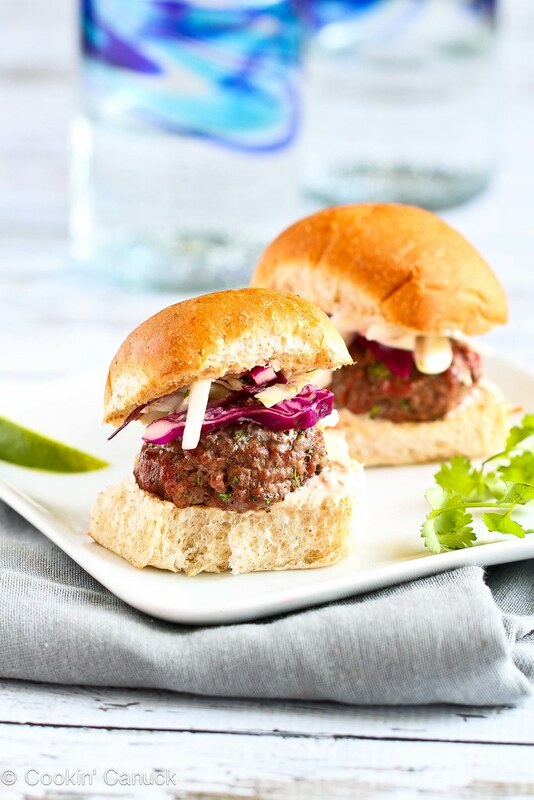 Kick up your next barbecue or your Father’s Day menu with these amazing lean hamburger sliders that are topped with a hot sauce slaw. 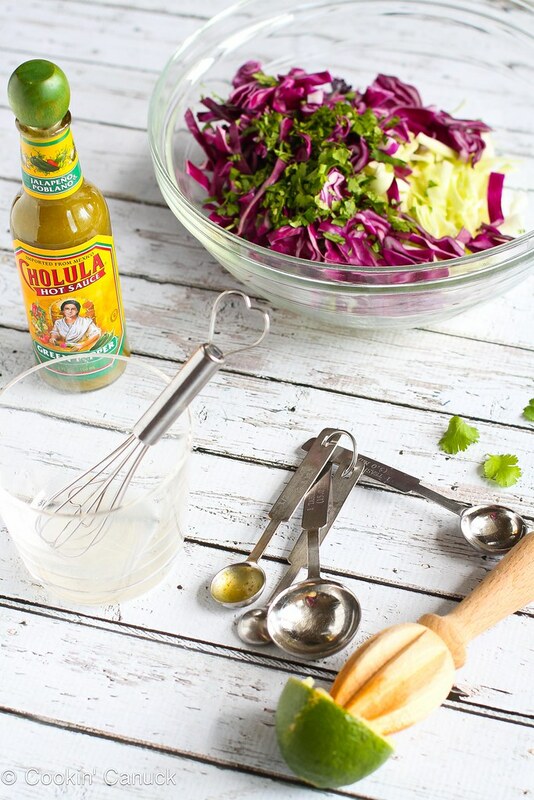 Thanks to Cholula Hot Sauce for helping me to share this recipe with you. I knew it the first moment I saw my husband give a kid a chair ride. We work with kids with autism, and the first time I saw him whiz a little boy around the room on a small plastic chair, I knew my husband would be a great dad. The little boy was laughing deliriously and every time my husband set the chair down, he begged for another chair ride. But being a dad to our boys has meant so much more to my husband than showing them the fun side of himself. From the moment he first met each of them, he enveloped them in love and dedicated himself to encouraging the boys to follow the path that would lead them to be happy, determined, honest and emotionally in-tune young men. He has given them a part of himself, which is greater than any gift that money could ever buy. He is there for every school program, every parent-teacher conference, and every soccer game and Kung-Fu class. He listens to their stories and plays along with their silliness. He pushes them on the swing, higher than anyone else can. He inspires them to run with him. He makes them love him so much that they always ask when he’ll be returning home from work. He tucks them in each night and tells them that he loves them. On Father’s Day, we will try to show him how much we appreciate him. With cards, with hugs and with meals that we know he’ll love. As many of you know, my husband is a marathoner. He eats better than anyone I know, with more willpower than I can actually fathom. One of the nutrients that many people, and particularly athletes, have difficulties with is iron. Many people are anemic or on the verge of it, so working in iron-filled meals is a must to maintain health and energy. We don’t eat a lot of red meat, but can’t resist a good burger in the summertime. These sliders may be little (and low fat! ), but they pack a punch of flavor. The key to both the burger patties and the spicy slaw is a great hot sauce. Many of you have likely seen the original Cholula hot sauce at the supermarket, and you probably have a bottle or two in your pantry. It’s good on so many things! One of our favorite ways to use it is in my Brown Rice & Bean Salad with Hot Sauce Dressing, which is great for a Meatless Monday meal. 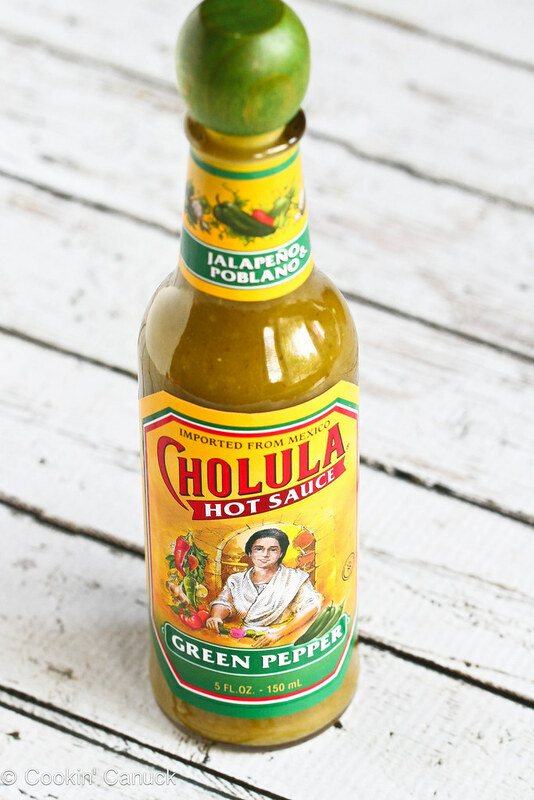 But if you haven’t tried the new Green Pepper Cholula hot sauce, you are missing out! It’s made of jalapeño and poblano peppers, and will give you a good kick in your pants. In this recipe, I added some of the green pepper hot sauce to the patties and another dash to the dressing that coats the slaw. It’s just spicy enough to wake up your taste buds without forcing you to guzzle a pitcher of water. Oh, and by the way, Cholula also makes three other flavors – Chipotle, Chili Lime and Chili Garlic. Yes, yes and heck yes! And do you remember that chipotle yogurt sauce that I made the other day to serve on grilled chicken tenders? I said that I would be putting it on everything that crossed my plate and I meant it. So, naturally, I had to put a dollop on each of these sliders. 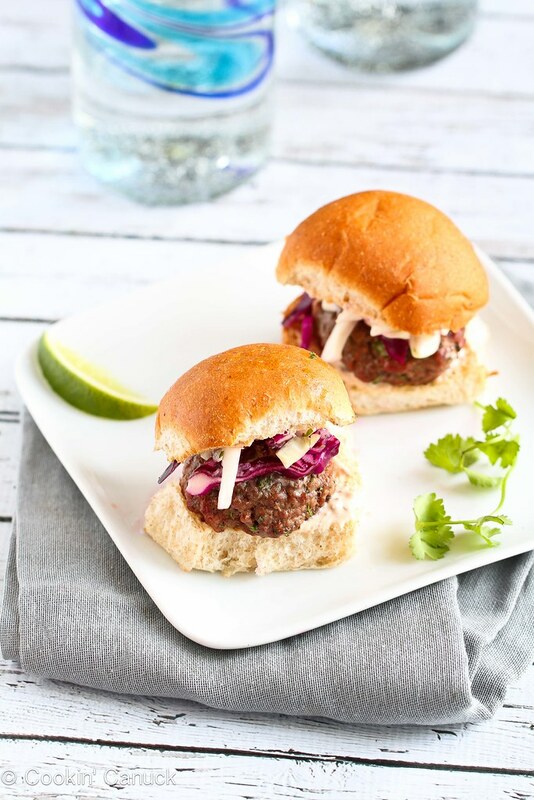 Let’s get this straight…flavorful, juice mini hamburgers patties, crunchy slaw with a hot sauce kick and a creamy, smoky yogurt sauce. Heavenly. And what did the man of the hour, my husband, think? I got a huge thumbs-up. Two of them, in fact. The nutritional data listed below reflects the patties served with some slaw and yogurt sauce. 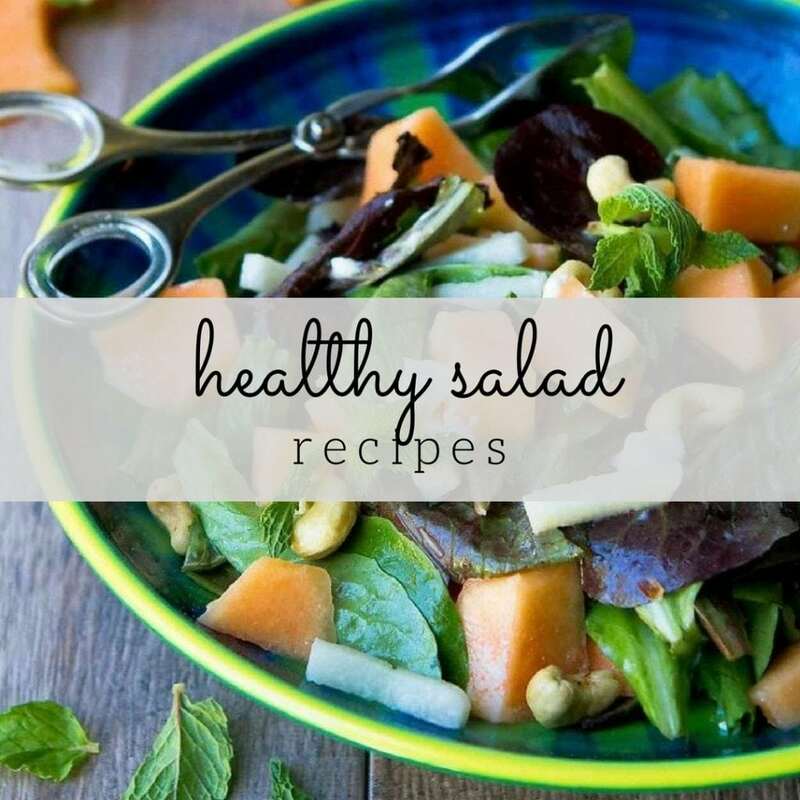 I did not include the nutritional information for the bun, as many of you will likely choose slightly different buns or may choose to serve these as lettuce wraps if you’re following a gluten-free or paleo diet. In a medium bowl, combine the yogurt, chipotle pepper, adobo sauce, lime juice and salt. Stir to combine completely. In a medium bowl, combine the green and red cabbage, and the cilantro. 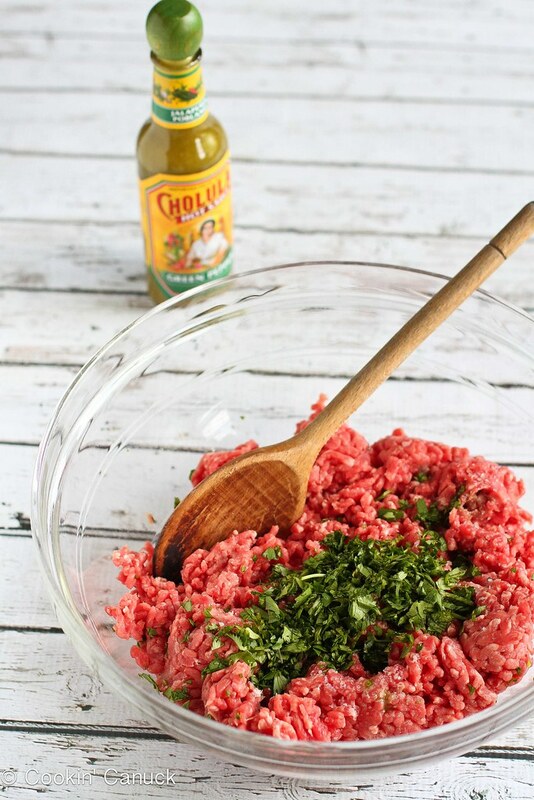 In a small bowl, whisk together the lime juice, Cholula green pepper sauce and salt. Whisk in the olive oil. 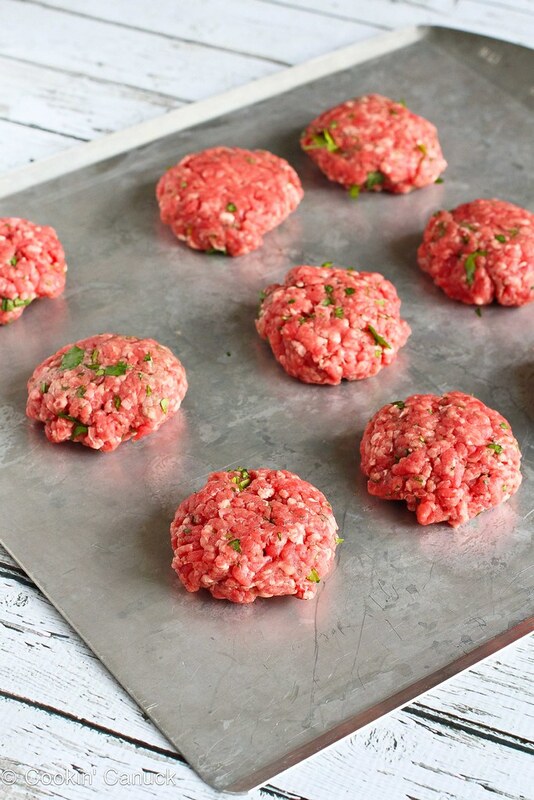 Place the meat patties on the grill and cook, lid closed, 3 minutes per side, or until barely cooked through. I like a little bit of pink inside to ensure optimal juiciness. 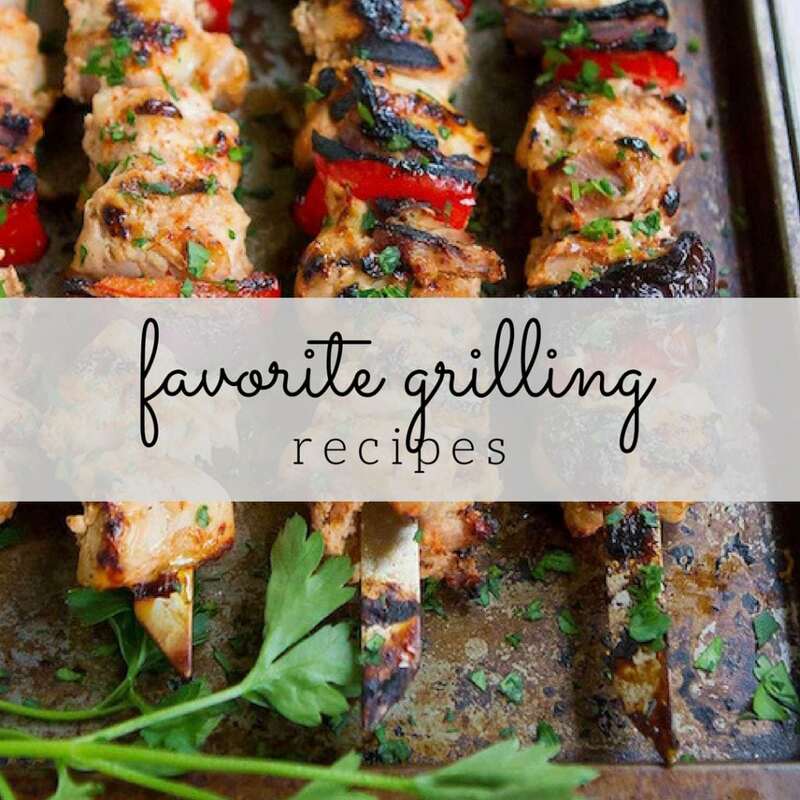 Remove the patties from the grill. Spread 2 teaspoons of the sauce on each toasted roll. 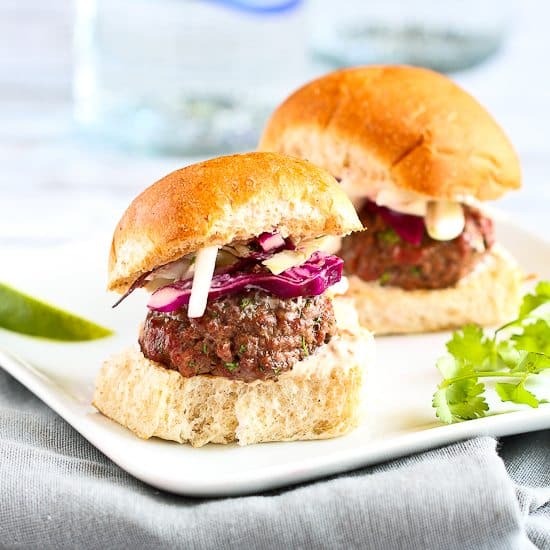 Top each roll with 1 hamburger patty and ¼ cup slaw. Serve. Disclosure: This post is sponsored by Cholula Hot Sauce. We have been fans of their products for years and all opinions are my own. Love these! I love a little kick! 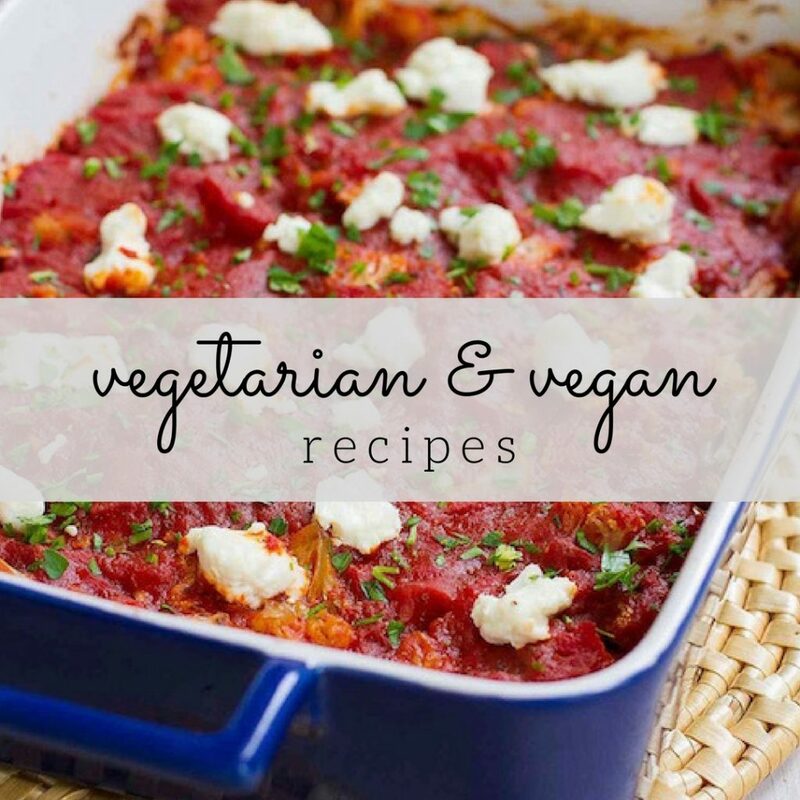 I am loving all of the spices in this! And you know I love the yogurt! I can’t resist a good burger in summer! I love the look of the fresh slaw aswell! These sliders look amazing!! I will definitely have to check out that hot sauce! 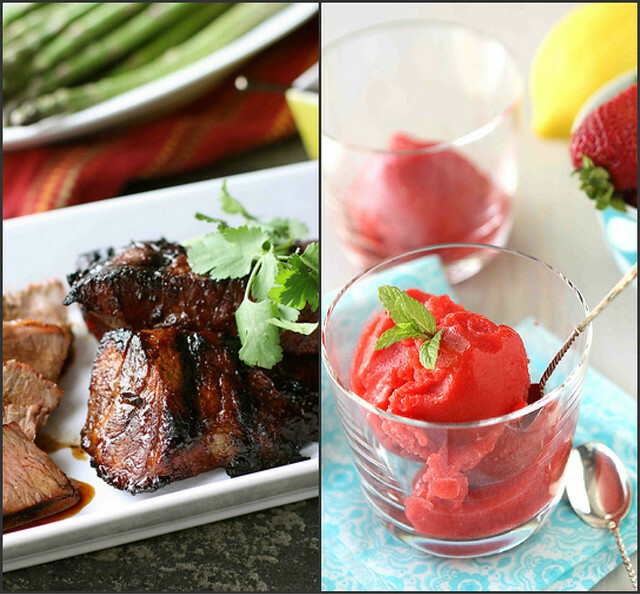 we love spicy and foods with a kick! Those sliders look sooooo delicious. Loving your photography as well, great job!